With the weather getting warmer it is super important that we stay hydrated. Personally, it is hard for me to drink plain water. I like to add some fresh squeezed lemon. 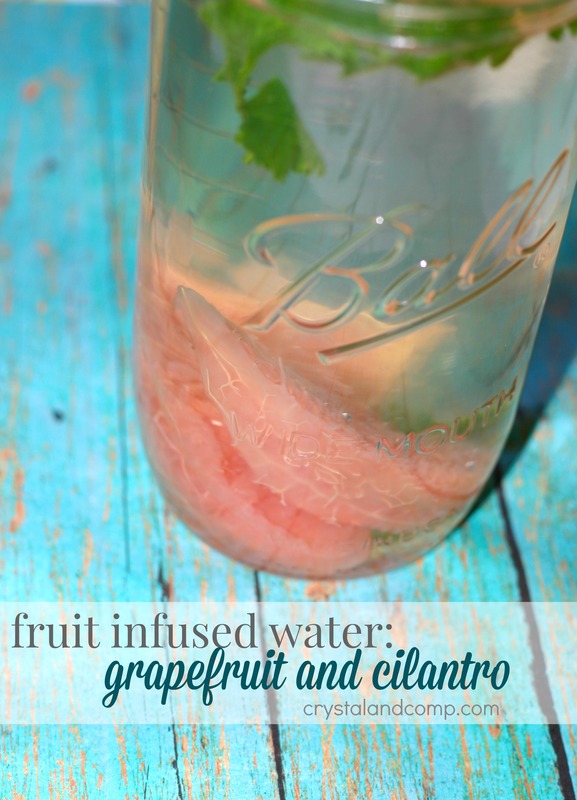 One of my friends was raving about fruit infused water recently and now I am on the hunt for more recipes. She was telling me how well grapefruit and cilantro pair together. I had to try it. In the process we discovered that Nick (8) LOVES grapefruit! Who knew. He said he loves them better than oranges and has asked me to start buying them at the store. 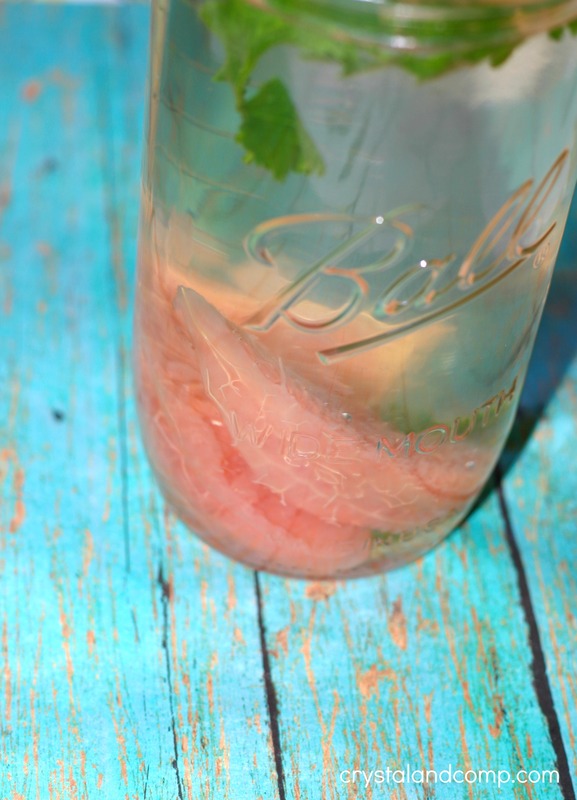 I am going to show you how easy it is to make this fruit infused water. 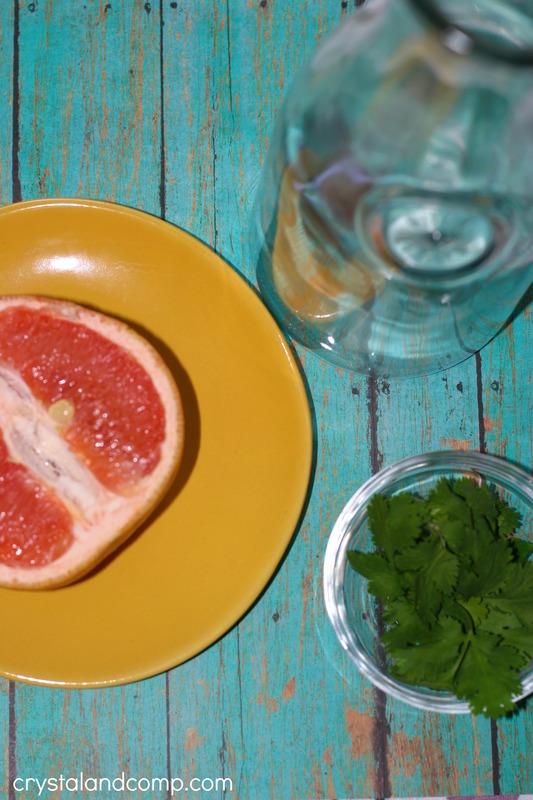 Remove the grapefruit in sections. Place the sections into your pitcher. Add in the clean cilantro. Fill to the top with water. 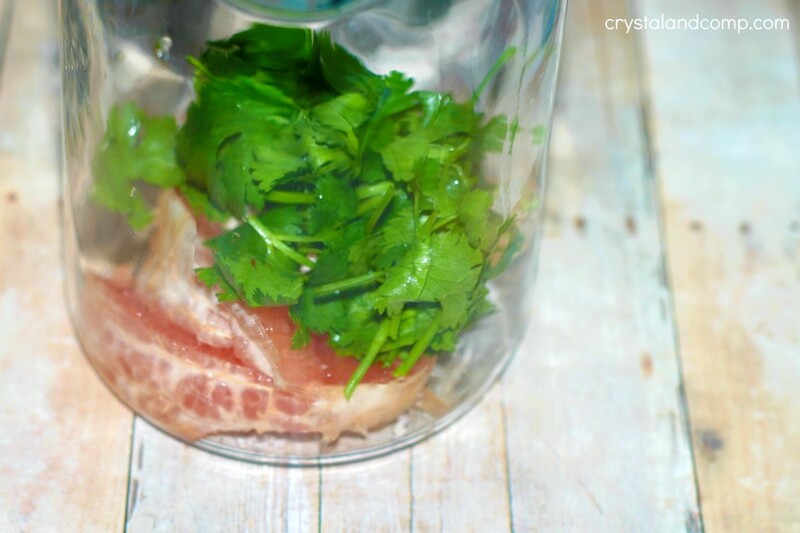 Store it in the fridge for a couple of hours to let the flavors infuse the water. Add the water to your favorite glass and enjoy! I only like a little cilantro and one slice of grapefruit in my glass. Once I drink all of the water if there is still cilantro and fruit in the pitcher I add more water and let it infused again. If you do this while the fruit is still fresh you can refill it a couple of times. Enjoy! Fruit infused water is super simple! Sounds very refreshing! Thanks for linking up at the Thoughtful Spot Weekly Blog Hop!